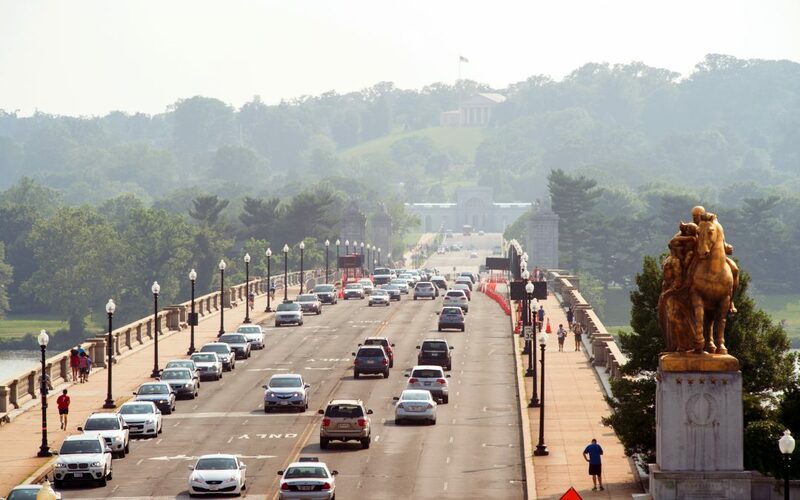 The National Park Service has approved a $227 million project to repair and rehabilitate Arlington Memorial Bridge, the iconic span over the Potomac River between Arlington National Cemetery and the Lincoln Memorial. The bridge is receiving funding under the U.S. DOT FASTLANE program. The 1930’s era bridge, traveled by 68,000 vehicles a day, has been identified by ARTBA as among the nation’s nearly 56,000 structurally deficient bridges. Its condition has resulted in vehicle weight restrictions and several emergency repair contracts over the past few years. U.S. Secretary of the Interior Ryan Zinke said major construction will start in fall 2018 to replace the drawbridge span, rehabilitate the concrete approach spans, and replace the concrete deck. Workers will employ accelerated bridge construction techniques, including using prefabricated concrete deck panels. They will reset the stone curbs and light posts and restore the historic stone and metal cladding. The structure of the existing bascule span will be replaced with variable depth steel girders, which will significantly extend the useful life of the bridge while significantly reducing maintenance costs. “Repairing Arlington Memorial Bridge underscores President Trump’s commitment to rebuilding American infrastructure and is a major step in addressing the National Park Service’s $11.3 billion maintenance backlog,” Zinke said in a Dec. 1 release. The deferred maintenance figure is from a September 2016 report, which detailed more than $5.6 billion in work on National Park Service-owned bridges, tunnels, paved roadways and paved parking areas, with another $217 million needed for unpaved roadways. The FY 2017 deferred maintenance report has not been made public.